SSC CGL 2016 will be online. 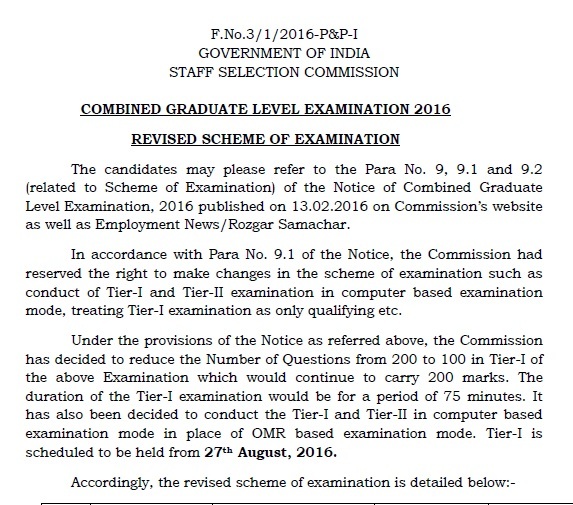 Staff Selection Commission on 01 July 2016, had released the official notice regarding the change in exam pattern. 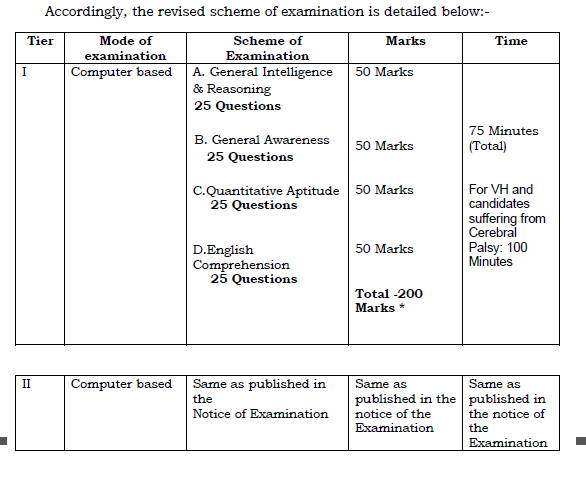 As per the new exam scheme, SSC CGL 2016 will consist of four tiers. 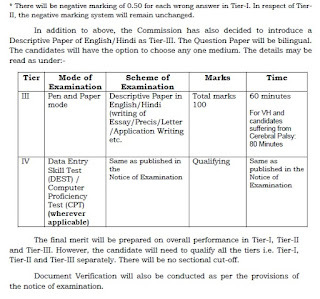 Tier 1 and tier 2 will be conducted online and candidates have to answer on a computer screen. Also the no. of questions asked in tier 1 had been decreased along with time. Staff Selection Commission had released the notice stating the exam date of Common Graduate Level 2016 and changes introduced in the exam scheme. SSC CGL will be a computer based Examination. Only Tier 1 and 2 will be conducted online. Tier 1 will be held on 27 August 2016. 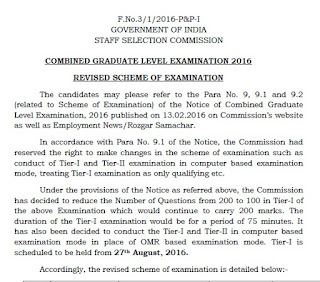 SSC CGL 2016 Tier 1 and 2 will be conducted through online mode. 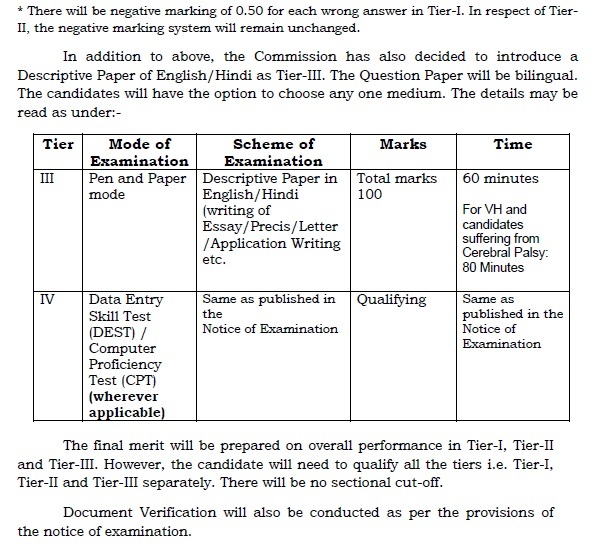 There will be 4 tiers in the examination now. A descriptive type paper is introduced as tier 3. It will be of 100 marks and 60 minutes duration. Tier 1 consist of 25 questions in each 4 sections i.e. General Intelligence & Reasoning, General Awareness, Quantitative Aptitude, English Comprehension. Each question is of 2 marks and 0.50 marks will be deducted for wrong answers. 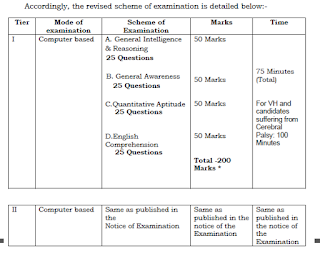 Tier 2 exam scheme is same except that it will be online. Tier 3 is descriptive type exam. Tier 4 is CPT / DEST exam.